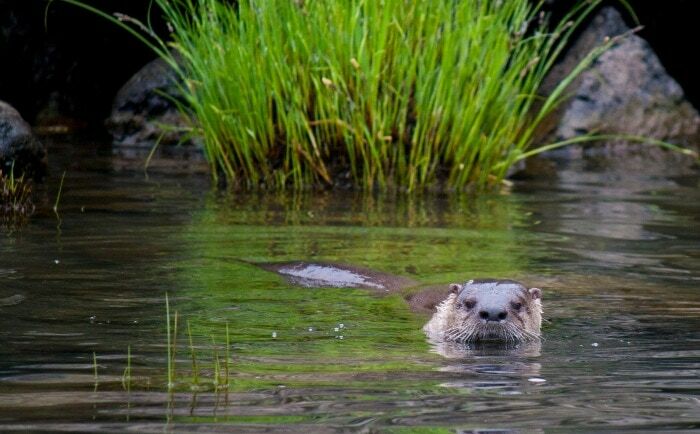 A whisker-faced river otter pops his head out of the water just yards away from our boat. I manage to get off a single shot with my camera before it dives again and re-surfaces nearby. After watching the otter for a few minutes, we leave our fuzzy acquaintance to continue up the Rogue River aboard a Jerry’s Jet Boat tour out of Gold Beach on the Southern Oregon Coast. Jerry’s Rogue Jets are one of the top attractions of this beach community. I lost count of the number of bald eagles, osprey and turkey vultures I saw on the seven-hour adventure into this protected area designated one of the nation’s Wild and Scenic Rivers. The trip combines scenic sightseeing and wildlife watching with some whitewater thrills as it motors over 100 miles up the wild river splashing through some of Oregon’s most famous white water rapids. At one point in the trip we watched a black bear scamper up a hillside as our boat approached. Some of the river’s other great attractions were obvious on the jet boat tour. We shared the upriver waters with whitewater rafts, and kayaks and downriver with dozens of fishing boats. One of the fishermen proudly held up his catch as we passed, a Chinook salmon that must have been close to 30 pounds. Even casual sightseers visiting Gold Beach can enjoy some of the Oregon Coast’s most stunning views, just a short drive away. 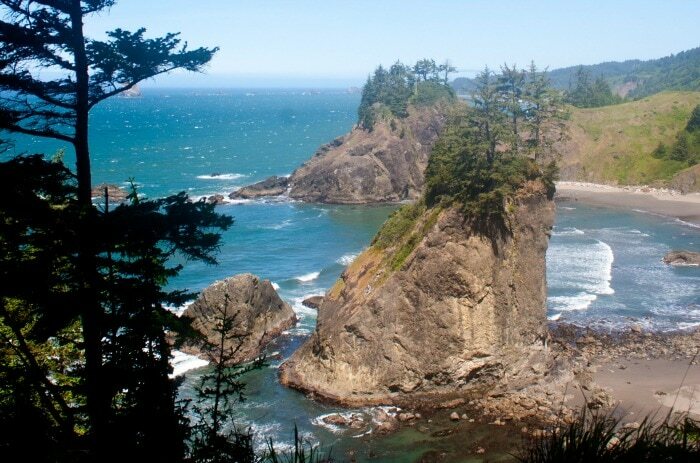 The Samuel H. Boardman State Scenic Corridor about 20 miles south offers several easy stops offering dramatic views of the coastline with Oregon’s signature rock formations dotting the shoreline and just offshore. At the Arch Rock viewpoint, short paved trails lead to several captivating views. On my last visit, it was hard to tear myself away as three whales lingered just offshore spouting and diving. Natural bridges, arched rock formations, sea stacks and small islands, along with beach waysides, make this stretch of coast one of Oregon’s most visually captivating. Hikers can choose short hikes between the various viewpoints along the Boardman Corridor or cover 12 miles of some of the most scenic portions of the Oregon Coast Trail. There’s more hiking up the Rogue River. I saw massive Douglas Fir on the 1.5 mile loop Francis Schrader Old Growth trail and visited Oregon’s largest Myrtle tree on the easy, quarter-mile Myrtle Tree Trail. The Myrtle’s scarred and moss-covered trunk, 42-inches in circumference, conjures up pictures of being the home of a forest gnome. Still want more hiking? Just a 30-minute drive north of Gold Beach is Humbug Mountain State Park with a loop-hiking trail that that encircles and climbs to the summit of the 1756-foot headland, in total covering about 4.5 miles. Only 10 minutes north of Gold Beach is the Otter Point State Recreation Site, a must-see for photographers, with views of arch rocks and interesting sandstone formations. Although the amazing natural areas and outdoor recreation opportunities near Gold Beach are the main attractions for me, I have a few other favorite stops when visiting. Gold Beach Books is the Oregon Coast’s largest bookstore, two floors of new, used and rare edition books along with local art and an espresso bar. When in Gold Beach, I can’t resist dining at Anna’s by the Sea. It’s a small, casual place with the kitchen open to the dining room and chef Peter Dower personally cooking all meals to order. He also makes all the cheeses on the cheese plate. 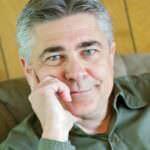 The menu is limited to about five entrees and Peter is always happy to suggest wine pairings from a carefully chosen list including mostly European wines. On my last visit, I sought out the tasting room at Arch Rock Brewing, just south of downtown Gold Beach. It’s the epitome of a Northwest microbrewery, a 15-barrel operation with 30 barrel fermenters. I tasted three beers in the walk-in closet-sized tasting room, a porter, a pale ale and a lager. Bring a growler or you’ll have to look for the brews at local restaurants like the Hunter Creek Bar and Grill next door. I’m a sucker for historic roadside attractions and 20-minutes north of Gold Beach is one of the Oregon Coast’s most classic. You’ll know you’re there when you see the 42-foot tall Brachiosaurus stretching its neck over the wooden fence and a Tyrannosaurus Rex patrolling the parking area. It’s Prehistoric Gardens, a walk-through rainforest trail with life-size dinosaurs scattered throughout the lush landscape. The attraction dates back to 1955 and to me, it’s a fun, kitschy classic to be experienced. Gold Beach’s earliest visitors were attracted by the discovery of gold during the Gold Rush. 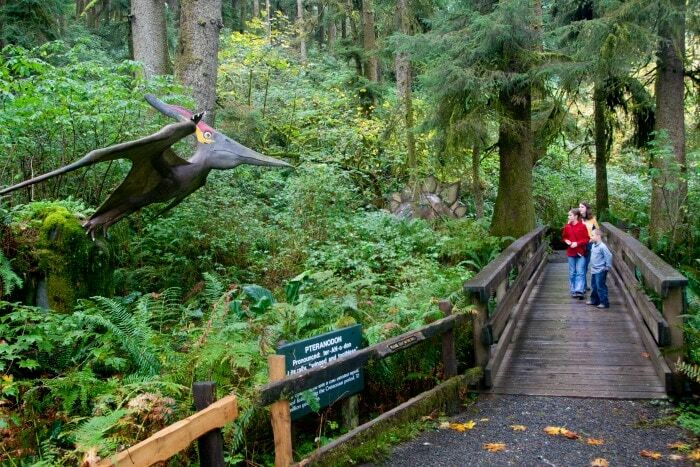 While those early visitors may not have discovered the mother load, today’s visitor can find riches in outdoor recreation and spectacular sightseeing along this portion of the Southern Oregon Coast — whether you’re interested in dinosaurs or dramatic landscapes.